Earlier this week while down in Auckland for work a reader (Marc M.) shot me a note via Facebook letting me know that there’s actually a full-on Wahoo KICKR studio setup just a few blocks away from my hotel. They offered a number of daily sessions where you bring your own bike in and suffer on a KICKR in a group setting. Given I’ve never ridden in any sort of BYOB cycling studio (KICKR or otherwise), I figured it’d be interesting to give the place a try. 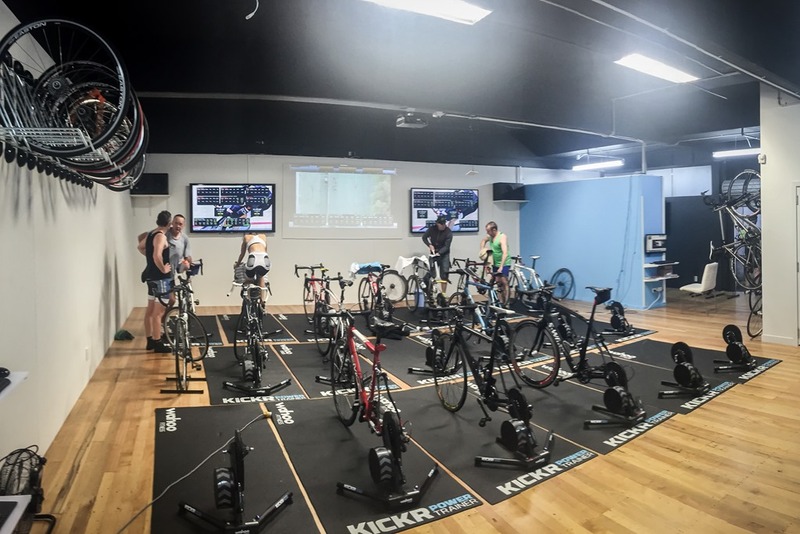 Of course, similar concepts aren’t new – there’s been CompuTrainer studios around the world for some time for example, but an all-out KICKR studio is pretty rare as far as I know. 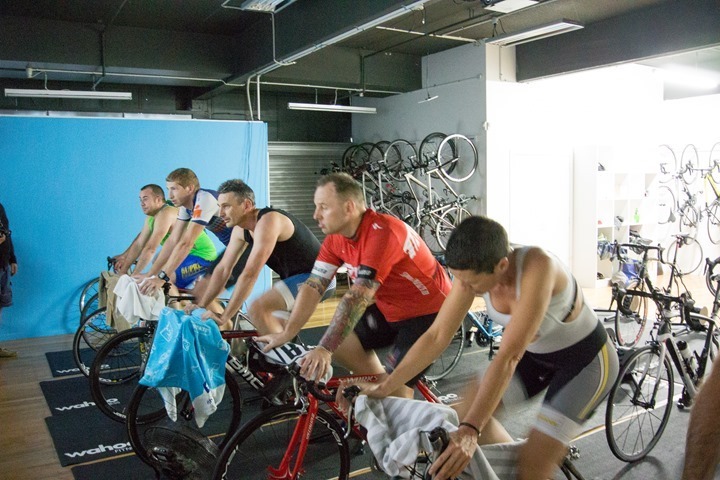 Apparently the longer duration memberships also get you free FTP testing too (in case you wish to subject yourself to even further pain and suffering). So I signed up the night before for a single class using their little online appointment tool. It only took a few seconds to complete and I was on my way. 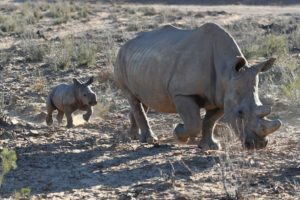 I also spent a few more seconds configuring my account in their database as well so that my FTP and associated information was already setup and ready to go when I arrived. 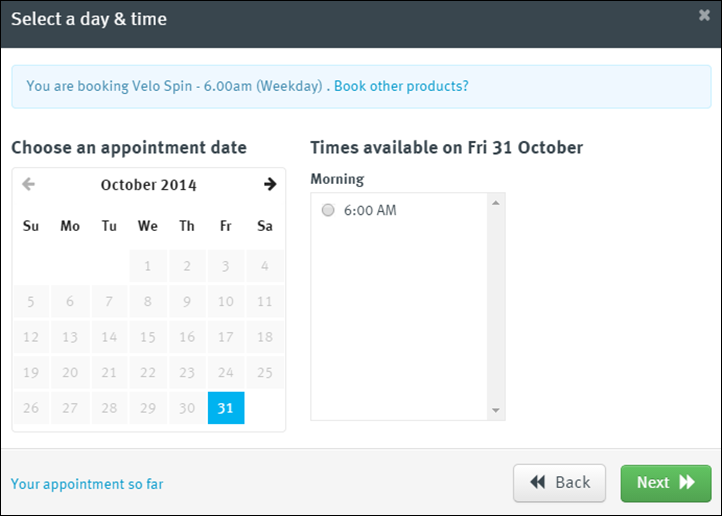 Below is a screenshot of the booking tool, in this case for tomorrow. At around 5:10AM I woke up and meandered over through the rain to the their warehouse-style location, situated in the marina area of Auckland near the downtown waterfront. After extracting my bike from my little car, I headed inside. 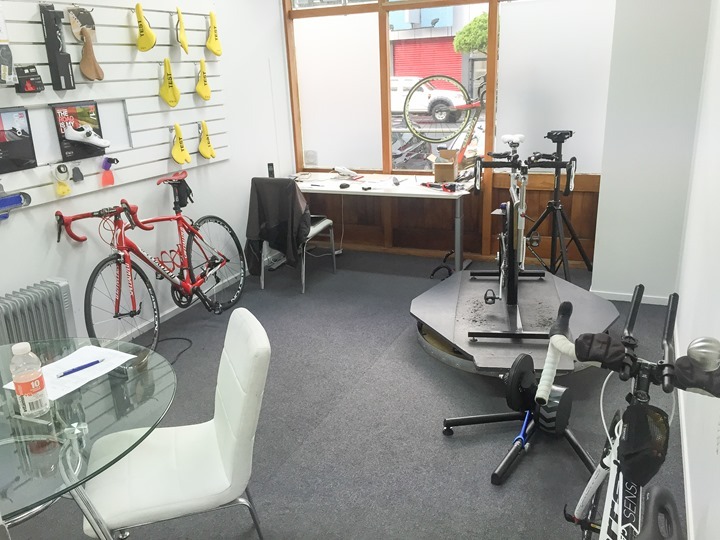 In addition to the KICKR studio you’ll go through a combination lounge/bike shop. They have a collection of typical items that you’d expect from a bike shop, though keeping it relatively simple. In talking with the owner he noted he didn’t want to get into full blown bike shop retail situation and really wanted to be a cycling studio. 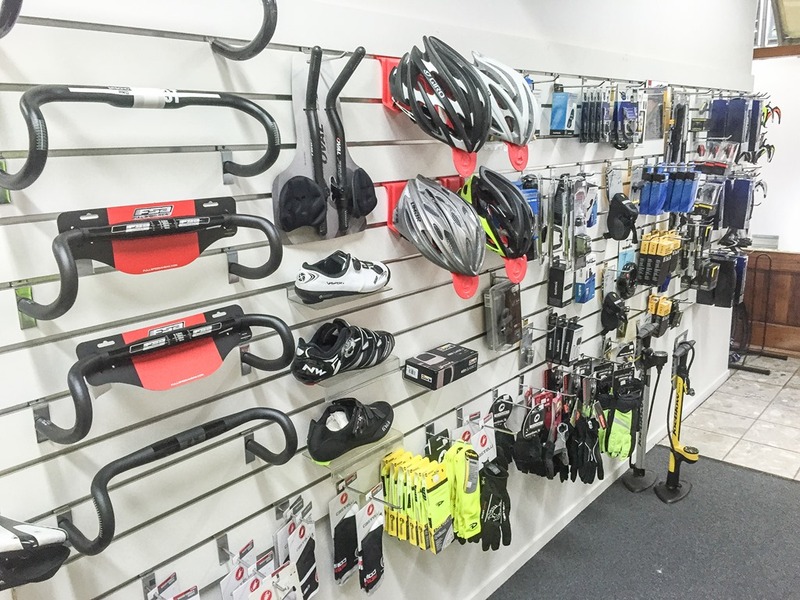 These items are mostly just to tide folks over for pre-ride needs (indoors or outdoors). 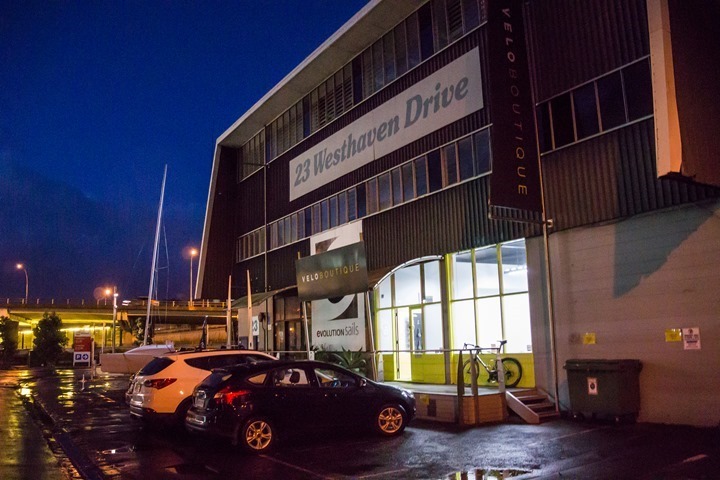 They also have a complete fit studio as well, which is also one of the services they offer onsite. 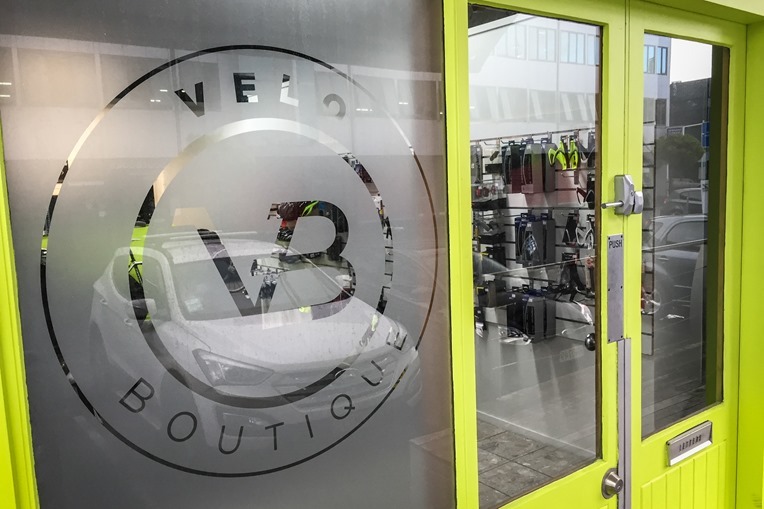 But, I was here for the KICKR cycling studio – so let’s head on in there. Inside they’ve got by my count 19 KICKR’s setup in formation, with another few more floating around the room as lone soldiers. Some of them had bikes already setup on them, sans-human, which are ones were people have simply paid for an annual membership and left their bike there. Of course, there are bike racks around the facility if bikes have to be moved. There’s also a nice handy wheel rack on the wall for your rear wheel to lounge in. The KICKR of course requires you remove your rear wheel and therefore attach your bike directly to the KICKR itself. The studio thus has a variety of KICKR’s in both 10-speed and 11-speed cassette configurations depending on what you roll through the door bike-wise. While people were still streaming in a bit before 6AM I got all configured as a user in their system. While I was already created they still needed to pair my ANT+ sensors (HR, Cadence, and power in my case came from Vector but normally it’s the KICKR). The system will show available ANT+ sensors and then you can assign them permanently to riders. 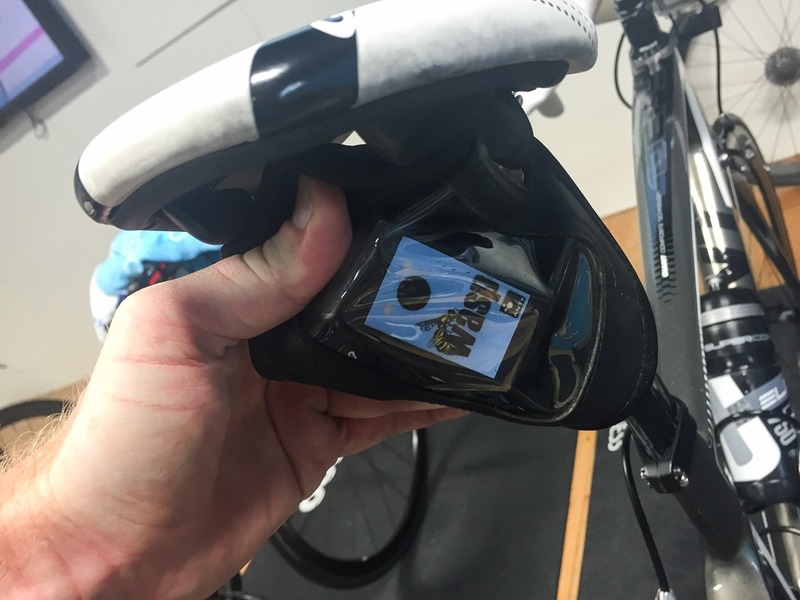 Riders can have numerous sensors assigned so them, so they can mix and match what equipment/bikes you bring in on any given day. Next, I was able to authenticate my Strava account with the system. This means that mere moments after my session was completed, it was already on Strava. I could also set it up to do the same with Training Peaks. All of this is using the PerfPro software, which works on home trainers as well as studio setups like this. 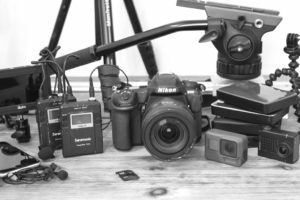 While the software can be a little bit intimidating to setup at first, it provides an incredible wealth of options. It also is compatible with just about every trainer out there, making it easy to get way more bang for your buck out of older CompuTrainers found on eBay, just as easily as new KICKR’s or PowerBeam Pro’s. Now in a home environment you’d simply use an ANT+ USB stick to connect to your trainers (or, multiple ANT+ USB sticks if you have lots of trainers at home). But, in a larger studio environment that becomes a bit clunky and cumbersome. So here they’re using North Pole Engineering’s WASP system. Right now they have one unit enabled, seen sitting on the floor in between the rows. 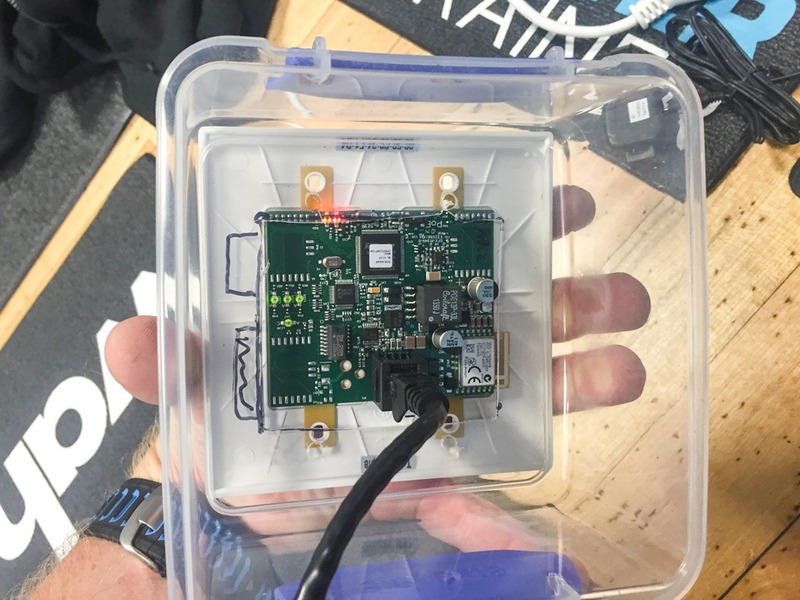 It connects via Ethernet cable to the wired network, which then in turn allows PerfPro to consolidate all that data in and ultimately control the trainers as well via ANT+. You’ll remember this is almost identical to the WASP system that I use to consolidate ANT+ signals for device testing such as power meter testing. In my case, I use a small portable one that retransmits the ANT+ data over WiFi to an iPhone which captures it. With everything all set it was time to get started. Everyone was on their bikes and getting morning kinks worked out. 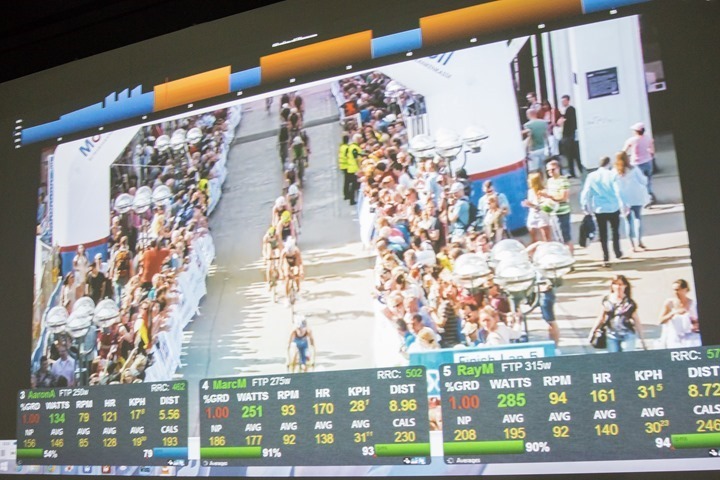 There were three main screens along the front, which had different rider names and information being displayed in real-time to them from PerfPro. You can see along the top there’s a graphical representation of the workout structure for the 60 minute session. A thin red line showed the current point in the workout, while the other screens had more detail about the current steps. In addition, there was a video playing behind it all. In this case it was the Hamburg ITU Sprint Race (women’s, then men’s). After the initial warm-up about 5 minutes, all of the trainers were triggered into the KICKR calibration mode to ensure accurate data. This lasted about 30 seconds and included a simple spin-up and coast down of the KICKR’s. You’ll then see the rolling resistance calibration value displayed in the upper right corner of each rider (RRC). With that out of the way, it was basically time to get on with the workouts. And that we did. 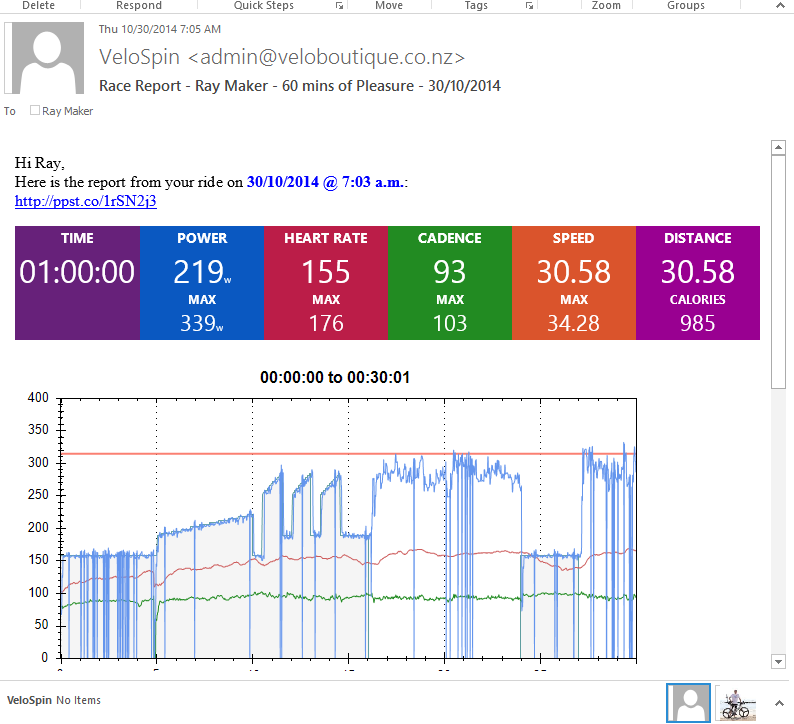 This particular workout had some building initial warm-up for 15-20 minutes, and then three longer chunks at about 88-93% of FTP. These longer chunks lasted between 8 and 12 minutes, with about 2-3 minutes of recovery. All of these instructions were these little time boxes spread across the monitors showing overall workout time, time of day, current workout section goal, as well as time left in that workout section. The way the workouts were configured was that the trainer didn’t hold you to a specific wattage during the main harder sets, but allowed you to ride up to that wattage. This was advantageous in that if you had a reason to be lower (i.e. an upcoming race, or just a hard night at the bar 4 hours prior), you could do so. Thankfully, even the hard workout sections went by quite a bit faster in a group environment than sitting alone. And, before I knew it we were wrapping up. Just like a proper workout there was a structured cool-down for the last 5-6 minutes or so, rounding out the session. And, at the same time, my workout ended up over on Strava too. Had I configured Training Peaks, it would have done the same as well. With that, it was time to head over to the cash register to pay, and then out into daylight. From there I was off to the real world…the office and work. It’s definitely a pretty cool concept, and neat to see things fairly well gelled despite only opening up a few months ago. 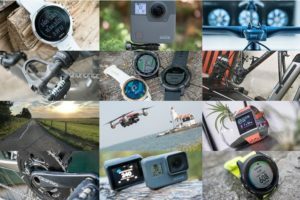 They’re also experimenting with doing recorded local rides with the Garmin VIRB Elite’s and then playing the video files back using PerfPro’s ability to ride the GPS files – allowing them to emulate outdoor courses as a group indoors. Very cool. Finally – thanks for everyone being so friendly this morning (despite the arrival time of 5:40AM! ), as well as to Marc M. for making me aware of the place. I had a great time! How cool is that! They should hide the Windows taskbar though. Great post, Ray! I’m fascinated to see that a studio was successfully able to use Wahoo trainers and make it work. The studio where I work out has been using computrainers with PerfPro in a 16-rider setup for some time and was thinking about Wahoo trainers, but questioned if the rear-wheel swapping just made things too awkward in a big class setting. If you find yourself visiting folks in Seattle and need an indoor ride, CycleU has classes just about every day at both Sandpoint and West Seattle. Would love to welcome you as a drop-in rider some day. 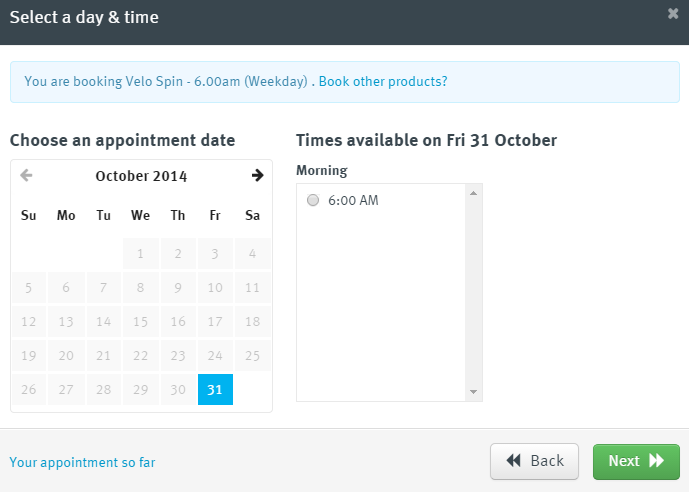 I never knew the weather was so bad in NZ you needed a 1200 $ subscription to cycle indoors all year. That said, if put in the context of gym memberships, depending on where you live that’s roughly in the same ballpark. Any many times those gym memberships don’t include classes, which is what this ultimately is. I guess this is ultimately a class, which is where the value is, but as someone whose finances tend to limit tri expenses (One day that Scott Plasma 5 will be mine… he lusts), I can’t help but feel that after a year I’d rather just own a KICKR outright? Glad some people can afford it all though. Same question….wondering if that is a function specificaly PrefPro, or something more generalized. It would be a nice feature for Trainer Road, although they do have that scaling feature for days you dont want to go all out. The problem with the scaling feature is it reduces everything in the workout, not just the few hard segments you might want to cap. I would go to studio like this occasionally if there was on close by… There is always fun to be had at a group sweat fest. This is neat stuff and right on time… Listening to the local weekend weather forecast on my drive to work this morning got me thinking about trainers. Do you have an ETA on the 2014 Trainer recommendations? I also travel 40 weeks per year and try to use hotel Gym bikes for my cycling workouts. 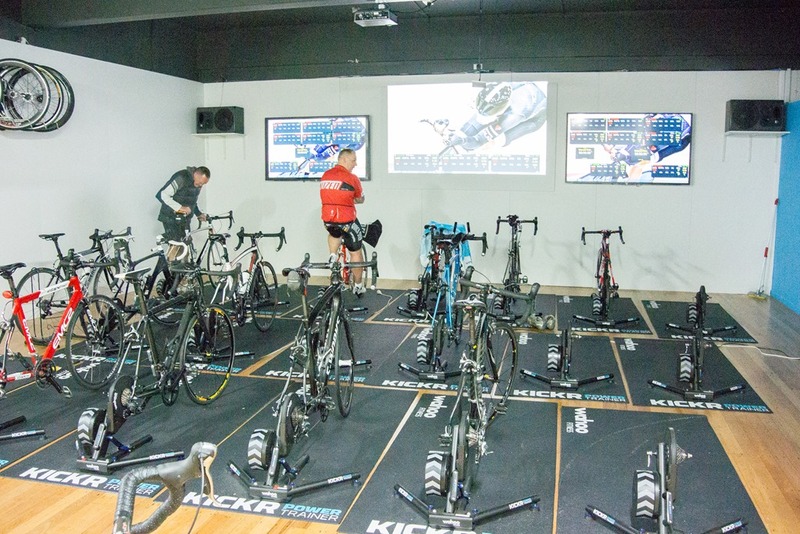 Do you know any way to get Power recording from so many different indoor bikes at gyms? I use Wahoo TICKR for HR, Wahoo RPM for cadence to upload on TrainingPeaks but I would prefer to get a TSS from Power files instead of the hrTSS you get with my setup. On my outdoor bike or indoor trainer I have a Powertap. Keep on your fantastic job with this site. From my home in Barcelona I support you buying cycling books at Amazon through your link. Thanks Joan but I would prefer a direct power sensor for better consistency and precision. Maybe something to be applied as a cleat on your gym shoes. I was going to say the same for PowerCal. The only other option would be Brim Brothers, but honestly the challenge there is spin bikes are all over the map on pedals. The PowerCal is surprisingly accurate in certain situations. 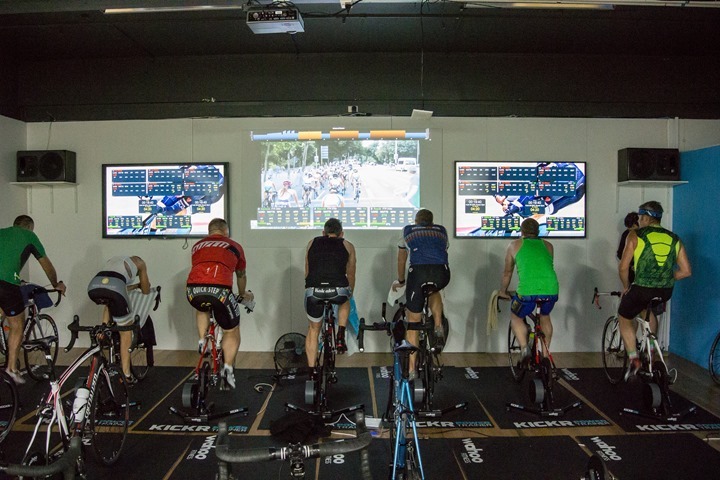 Cycling Center Dallas has been offering these classes, first with ErgVideo, now with PerfPro Studio, since 2006. PerfPro Studio has completely replaced all CompuTrainer software, and we find that the convenience of using your own bike with your own rear wheel, and not having to worry about 9,10, 11 speed cassettes and the whole “Shimano vs Campy” freehub setup, allows for faster setup and use. Sure, you burn through tires, but that’s what the red Vittoria Zaffiro Pro’s are all about. 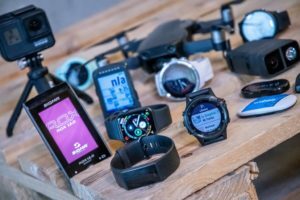 We LOVE the Kickr’s and have no complaints about them, but the prior investments in CT’s have us using mostly those devices. 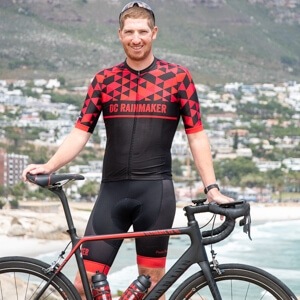 However, for mountain bikers who want to use their own rigs, the Kickr’s are just AWESOME and we look forward to the day when Wahoo offers a competitor to the VeloTron. Ewan – you simply have to try the classes out. There are studies in Sport Psychology which show that group efforts bring out the best in everyone, sort of a friendly competition but still working together, whereas with solo efforts in isolated circumstances, the mind ends up playing games with itself. These group classes are the perfect antidote. 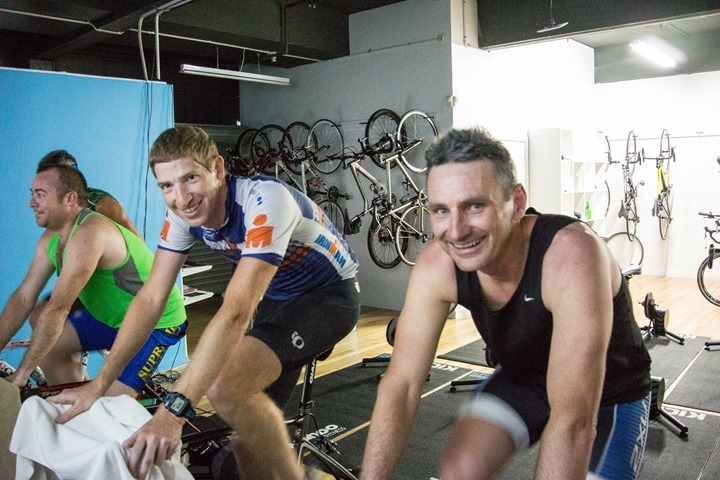 You get a consistent location, great coaching, and an effective workout that you can tailor to your own performance and perception individually, even within a ride. Global coaching is also MUCH easier with PerfPro. Coaches can send programs out on the partly cloudy option, and clients then get automatic uploads after each workout, so the coach’s data is never out of sync. Finally, Garmins and Osyncs can be uploaded as well, to “Complete the loop of knowledge” from on-bike PM’s and indoor workouts. Also – here’s a neat little trick. 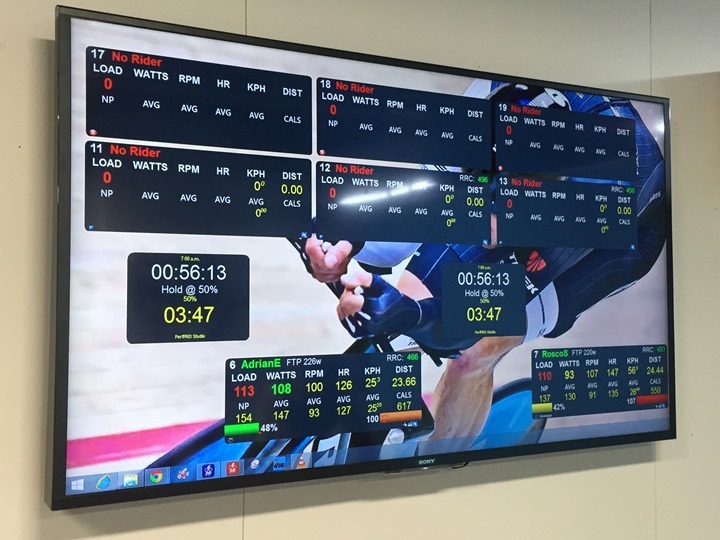 Using the PerfPro Studio, when you activate the power meter on your bike, and use a load-based workout, you can actually measure the consistency between a calibrated computrainer and the on-bike power meter. Once you know how consistent and close they are, you can actually measure drivetrain loss. 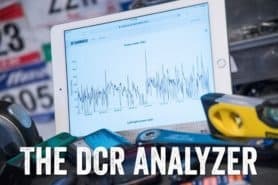 We find that there’s a 5-6% loss on most crank-based systems, and about a 2% loss on most Powertap systems. 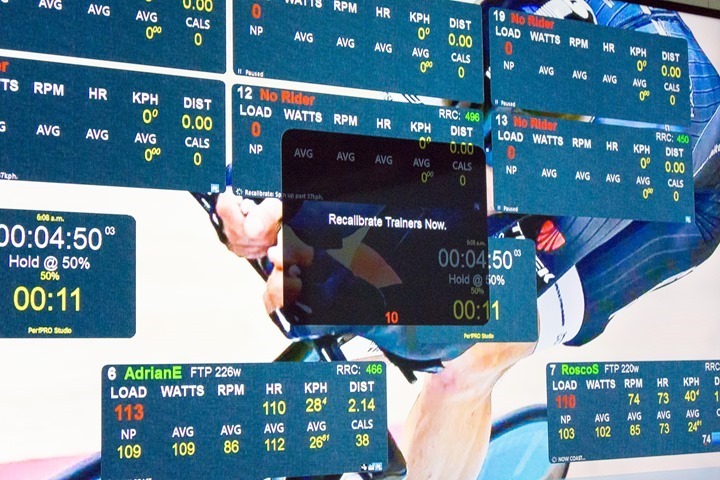 There’s more, but long story short, if you’re a frustrated CompuTrainer owner (and who isn’t? ), you need to get PerfPro, and hook up with a coach who can help. It’ll literally change your training paradigm. If you’re close enough to a class like the one in the article, go check it out. You shouldn’t be disappointed, and if you ever come through North Texas, come visit. We have loaner bikes, and the first ride is always free. Buy a used CompuTrainer or a new Kickr and a copy of PerfPro Studio, and start pedalin’. First time ever posting and appreciate any and all comments/feedback. Currently we have 16 computrainers here at the studio. (Classes begin next week already!) One big question on the Kicker is this: Does the Kicker measure left vs right leg like the Spin Scan program from Racermate? We find the Spin Scan to be an incredible tool when teaching our athletes a smooth pedal stroke and activate muscles that they may not be using. Jessica (coach and FIST Certified) has helped many people to different crank arm lengths because of the Spin Scan. 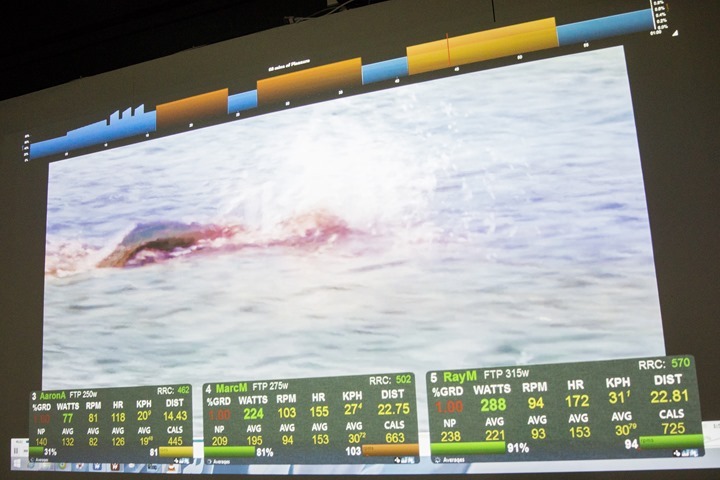 After the athlete take the plunge and changes his/her crank arm length, they can feel and see the improvements from previous spin scan tests. The number of other reviews on the Kicker and the numerous amount of courses are making the Kicker a stand out trainer! And less cost! We would have to agree with Ken above on removing the rear wheel. Some have a hard time just putting there bikes on a simple trainer. Been reading your blog for some time, and it actually provided valuable information and data to help with the opening of our own PerfPro cycling training studio in Indianapolis. Next time you’re swinging thru the Midwest, stop in and take us for a spin! 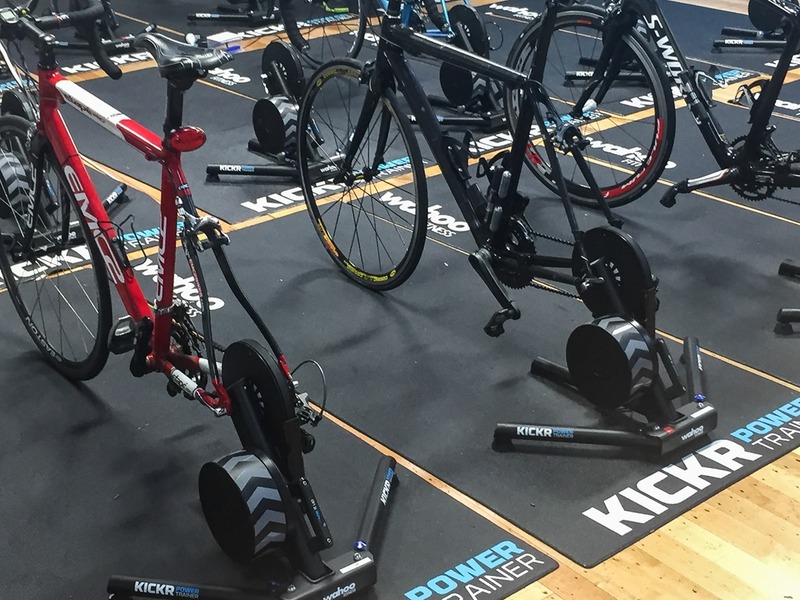 Rather than using the Kickr’s, we’re using the CycleOps “PowerBeam” trainer. 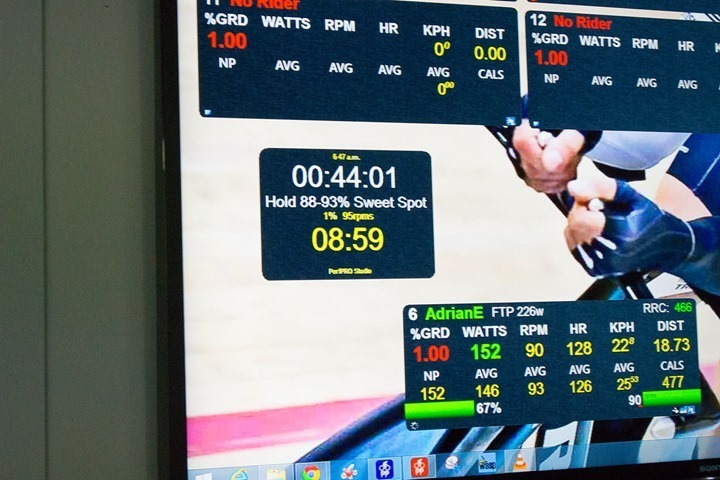 As a USA Cycling Level 1 coach, the whole process allows me to conduct very specific, individualized training sessions for cyclists of widely disparate capabilities at the same time. Keep up the good work. Ray, your posts are always a great read and make me somewhat envious as well (especially a 315W FTP to my measly 266W). Does any, or all, of this work via a Mac? I’m looking for winter training solutions and upgrading to a smart trainer (e.g. Wahoo Kicker) vice my current Giant dumb trainer. Also, I typically use my Garmin Edge 810 with my training sessions along with a Power2Max or Stages power meter and an ANT+ HRM. I don’t use a speed sensor and as you know the power meters have the cadence built in. in the past I’ve used Sufferfest videos and the dumb trainer to get by, but want to up my game a bit. Any advice/tips for a trainer, software, and interface (if needed)? I use a Kickr with trainer road (trainerrroad.com) software, can run sufferfest videos too. I am waiting for the IOS version of trainer road so I can use an ipad instead a computer. 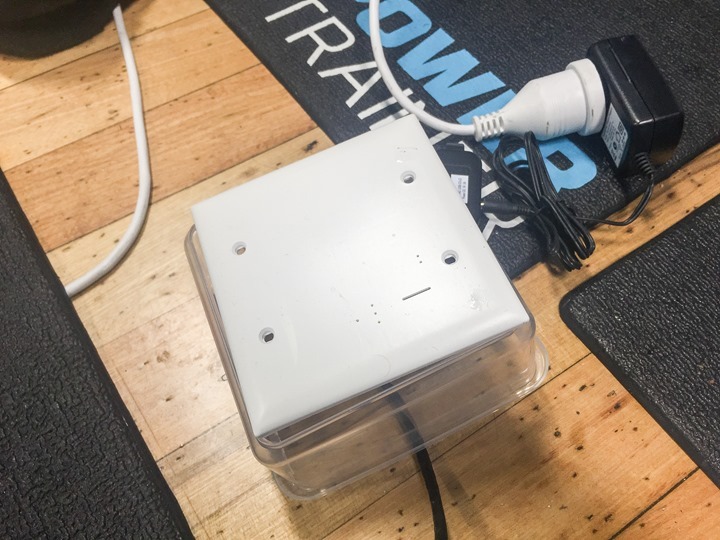 Jose, do you need an ANT+ USB adapter or something to get the ANT+ data (Power meter, Cadence, HRM) to Trainerroad? Does that work on a Mac as well? Or does the Kicker take over the power meter function via Bluetooth and you have to do without the ANT+ devices? 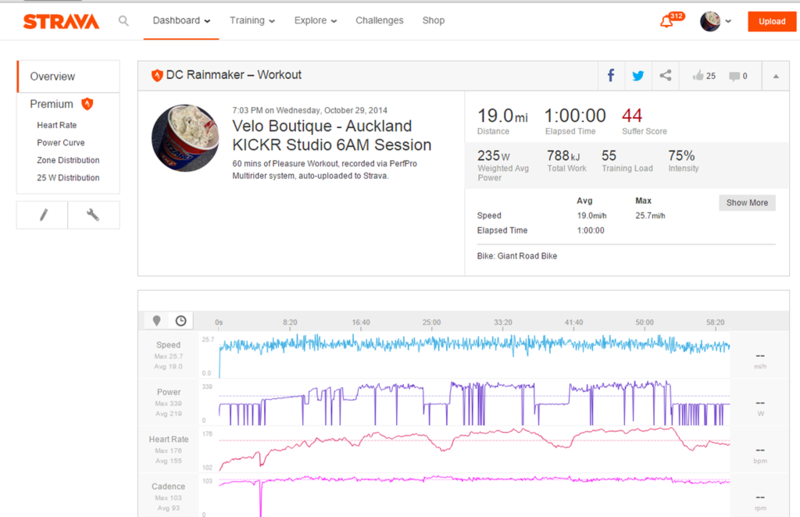 Also, does Trainerroad automatically adjust the Kicker resistance to simulate various scenarios (e.g. hill climbs followed by descents)? Martin – It works great on a Mac. Currently I use a MB Air running TrainerRoad, sometimes with Sufferfest videos, KICKR, Stages, Garmin 810 and Garmin HR strap. The MB Air has my Garmin USB stick on it. TrainerRoad controls the KICKR in ERG mode, so it’s set it and forget it, no shifting ever. I’ll be able to replicate this entire setup on iOS with the Lightining to 30 pin adapter and Wahoo ANT key. NOTE: You can only use the Wahoo Key, the Garmin 30 pin ANT+ adapter is locked to their Garmin App. 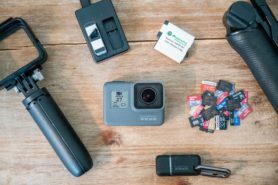 Quick question if you don’t mind – I have an older non-BT 4.0 Macbook Pro and am wondering if I can run trainerroad via the ANT stick all the way. It’s not entirely clear from their or Wahoo’s websites if this is an option. Since Yosemite dropped I’m no longer sure if BT 4.0 usb dongles can be hacked to work on OS X what with handoff and such. Much obliged if you can clarify. I have been in a computrainer kind of studio but was individual kind of training. Really cool this Kickr group ride. Some envie feelings here too. And 315W, come on, thats show off. 312 notifications on your Strava account?! The KICKR mats are really cool. Did they have a raised floor to hide all electrical cords? Looks sweet. Great stuff….and Perfpro looks great. 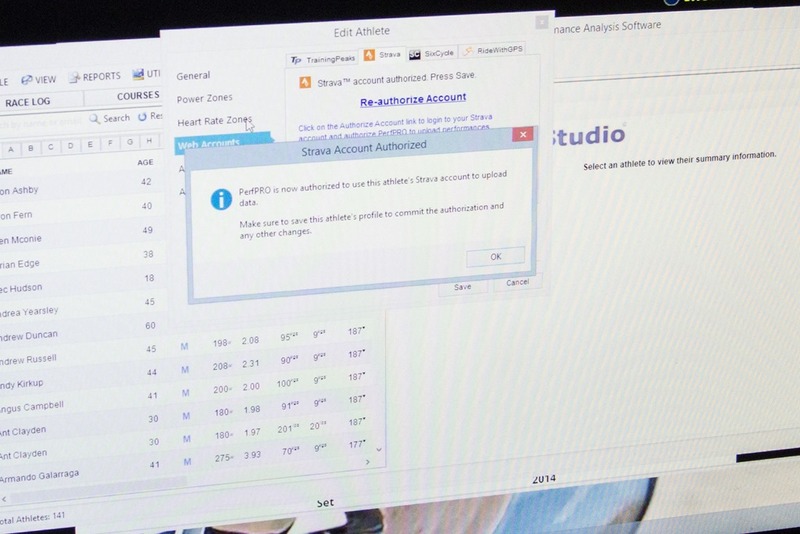 I’ve been looking for a way to easily export my Computrainer data and this may be it. They had a few portable fans, but they were able to simply open a side door and front door and it made for a nice cool-air wind tunnel. Same here, I have a huge fan pointing at me when I’m in the basement on the KICKR. 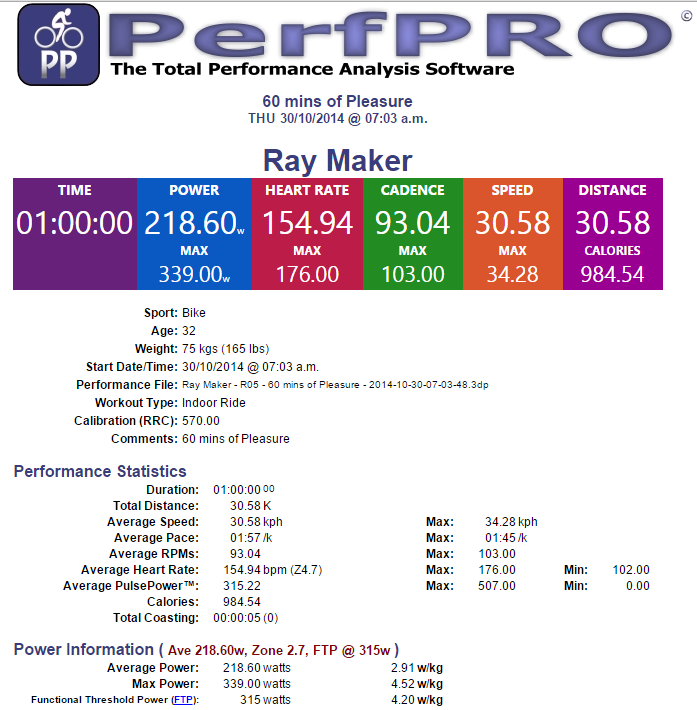 Is a comparison of PerfPro and TrainerRoad available? I just got a KICKR and still trying to decide what way to go on software. Thanks for posting this Ray – and for getting up at 5am to get it done! Very impressive! Looks like an amazing facility, I think we’re going to see more and more of these popping up around the world, especially if they can prove that they are economically feasible … we had one near us in Manchester a few years back that had 4 computrainers, but they couldn’t make it work financially. I think you need a tipping point, and being able to have several classes a day with 20 riders is really inspiring. If it helps anyone I can vouch for the combination of kickr & perfpro in a home training capacity. 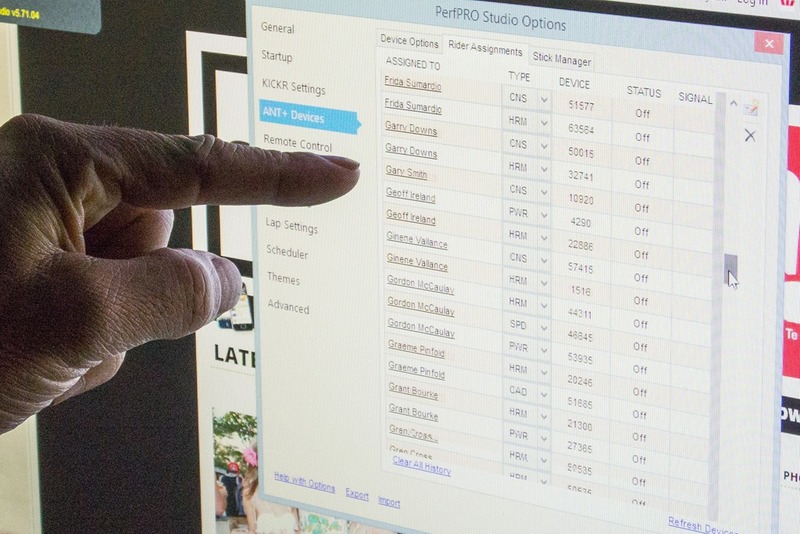 They work seamlessly together and perfpro is hugely versatile. 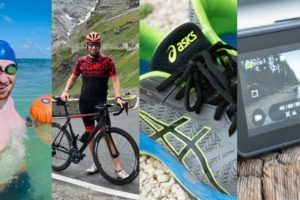 I have been able to set up my own power based workouts, use some from the huge data base of workouts already available, do my own gps based workouts (you have to smooth the data but tha facility is in perfpro already) do some hill intervals – just set the gradient in perfpro and ride & a ton of other stuff. Ray – how’s the annual trainer recommendation coming along? So close, just need some final airplane time tomorrow to get it out the door. Been caught up with all the travel the last few weeks. Ray- Do you know any E.U. based retailers for the WASP bridge? Or any other similar product on the market? They don’t sell in retail, only direct to other companies – so pretty much only through their website. I’m not aware of any other products on the market that do the same.